Whisky tourism in Scotland is at an all-time high with figures showing that distilleries around the country welcomed a record 1.9million visitors last year. The Scottish Whisky Association (SWA) survey findings also revealed that spending at visitor centres rocketed by 15.6% to £60.9million. James Roberts, a tour guide at Glenfiddich, believes that the tourism whisky brings in is vital to Moray’s economy. 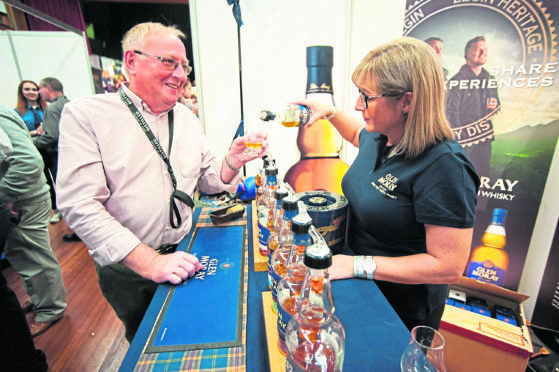 He said: “I think whisky tourism is absolutely vital, We bring in something like 50,000 people each year. These people will come and maybe visit one or two distilleries, they’ll find accommodation locally, they’ll go to the local bars and restaraunts – with every pound spent with us there’s probably £15 or £20 spent elsewhere. Graham Coull, Glenmoray distillery manager was also very positive about the benefits of whisky tourism.